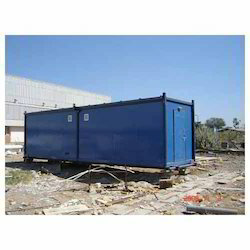 Leading Manufacturer of portable cabins from Ahmedabad. We fabricate Portable Cabins as per your custom design and sizes. Self locking doors with locking arrangements closures & steps if kept at an elevated level.